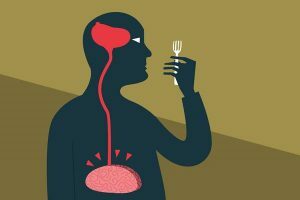 A USC study shows the brain’s plumbing system serves double duty, flushing waste and channeling a hunger molecule that tells you when you should eat. Cerebrospinal fluid has three chief assignments. First, its grueling eternal task is buoyancy, like the Greek Titan Atlas supporting the brain. Second, it acts as a cushion after a blow to the head. Third, it is the brain’s sewer system, clearing away metabolic waste. As neuroscience technologies have advanced, scientists have seen indications that what is sometimes dismissed as sewage actually has a role in the brain’s regulation of behaviors such as stress, energy balance and reproduction. For their study, the researchers focused on the molecule “melanin-concentrating hormone” (MCH). 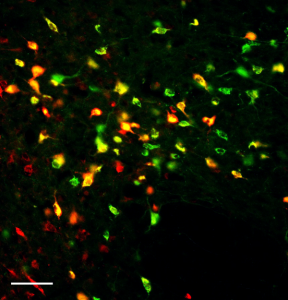 This neuropeptide is generated by neurons in the brain’s hunger center, the lateral hypothalamus, at the base of the brain just above the pituitary gland. A protein molecule, MCH stimulates appetite. It also can slow energy expenditure. Based on their findings, the researchers determined the peptide’s release is likely influenced by circadian clock and a daily mealtime routine. Other study co-authors were Martin Darvas at the University of Washington; Vaibhav R. Konanur at the University of Illinois, as well as Joel D. Hahn, Alyssa M. Cortella, Clarissa Liu, Monica Song, Andrea Suarez, Caroline C. Szujewski, Danielle Rider and Jamie E. Clarke — all at USC.